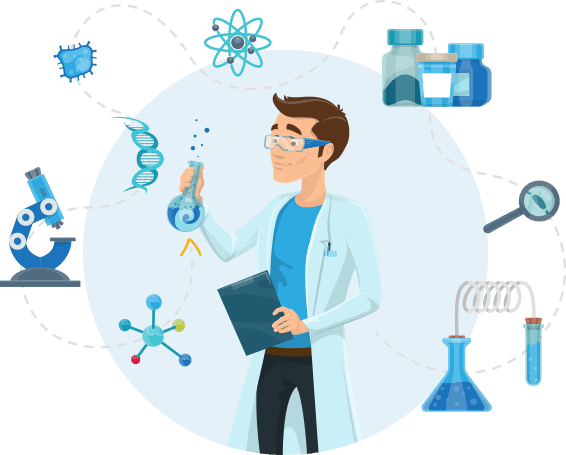 Medical, Biotech, and Pharmaceutical industries are developing so rapidly that their frequent events are nothing surprising. They create a great way to increase knowledge, acquire or hone skills and qualifications, and network with professionals from the industry. 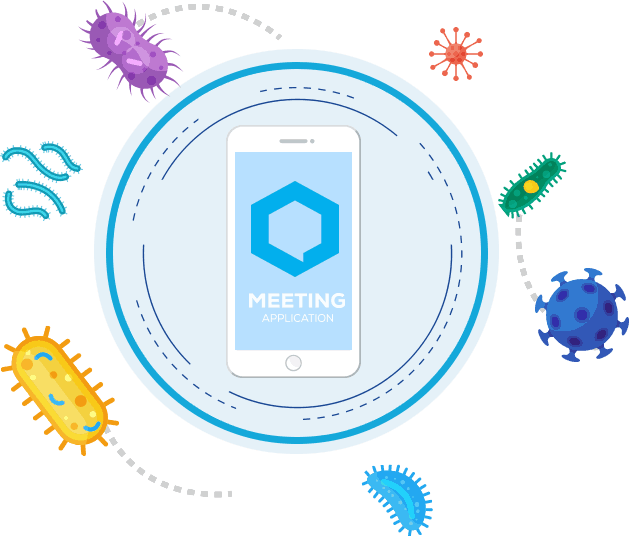 Meeting Application can serve as a great conference app for pharmaceutical meetings, biotech conferences or medical meetings as well. Whether it’s a big annual event or monthly training our app will make it truly memorable and exciting for all of your attendees. 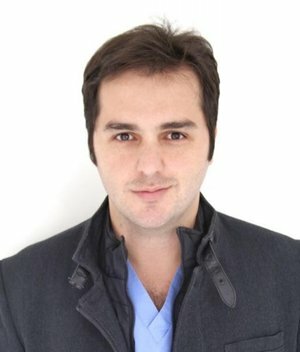 You don’t have to spend thousands of dollars on building your own pharmaceutical app for events. Meeting Application can be customized easily to match various types of requirements. 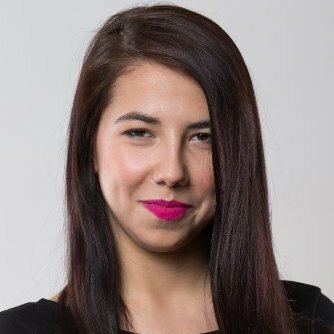 We have already helped 5 out of the 15 biggest pharmaceutical companies providing them with easy to use app that matches industry conferences. Ensuring a seamless flow of information during a conference is crucial. That's why our real-time agenda not only allows attendees to build they own event calendar but also makes our tool a useful planning app. You don’t have to worry about any sudden changes, as it keeps your guests updated at all times. For any urgent notices, you can use the PUSH notifications. Upgrade your audience experience by providing it with all the extra materials they need. If your conference is aimed at exchanging and sharing knowledge, experiences and research results, there are surely loads of materials: documents, photos, videos, presentations - you name it. Thanks to Meeting Application, your guests are able to have constant access during and long after the event. We know the value of such scientific content, hence we have taken care of it. All the files are gathered and safely stored in one place - right in the app. 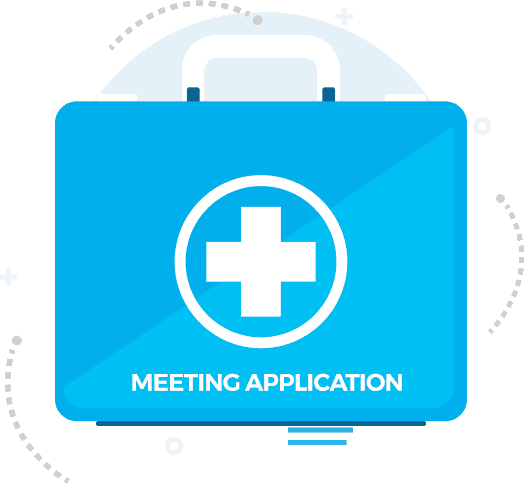 Meeting Application is a perfect tool for our medical conferences that's why we use it yearly. We prefer the app to printed materials and love the possibility to instantly update the agenda. One of the biggest concerns in the pharmaceutical and biotech industry is data safety. When designing our app, we decided to make data security our top priority. That is why we protect your entire communication with a strong, 256bit SSL encryption. And if you wish to restrict the access to your event, you can do it through a secure access code and an additional email whitelist. That creates a complete, two-step verification process. Get rid of concerns about your attendees’ personal data and uploaded confidential content safety, so instead you can focus on making your event the best possible. The application was very stable, engaging and fun! Easy to use and configure. Even though our pharmaceutical conference app is easy to customize and use, we believe that prevention is better than cure. That’s why we take care of every possible aspect - in our view, it’s good to have someone you can count on in case of emergency. With Meeting Application you won’t just get a custom event app but your own support hero who will ensure the success of your event. Any requests, questions and doubts are welcome, as our support team is constantly at the ready to provide you best quality assistance. And if you’d like to have even more help, you can order a full data upload package or even ask for onsite support anywhere in the world. Very easy to customize, we didn't have to spend a lot of time on filling or modifying data. We loved their support, they helped us a lot. We realize that attendees of medical meetings, biotech conferences or pharmaceutical events differ – just as their mobile devices. 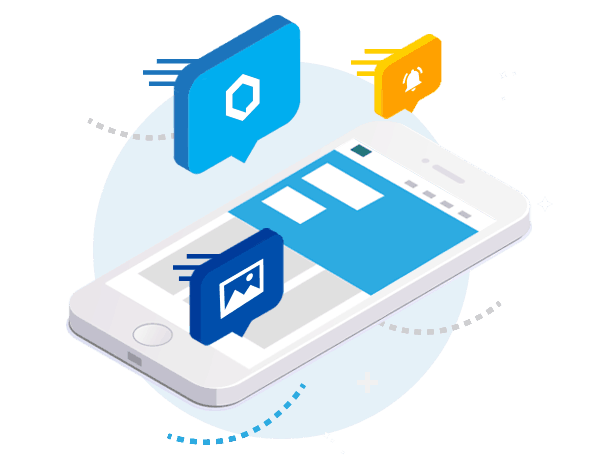 That’s why Meeting Application is supported by both iOS and Android operating systems to meet the expectations and needs of every participant, regardless of their mobile preferences. The opportunity to insert an event schedule with clarity, segmented and with the maximum information. The option of the participants to make notes for the lectures and insert photos in the application. 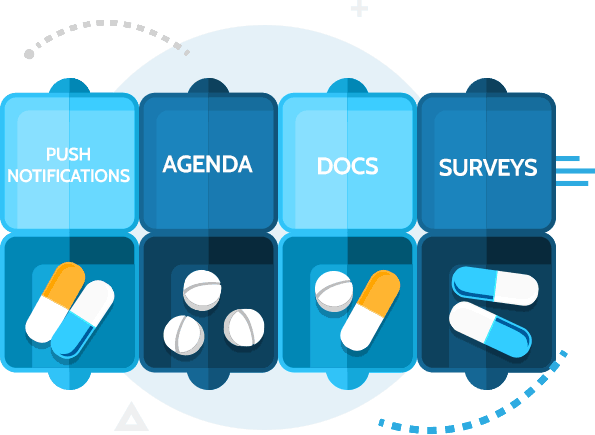 Are you ready to enhance your pharmaceutical event?